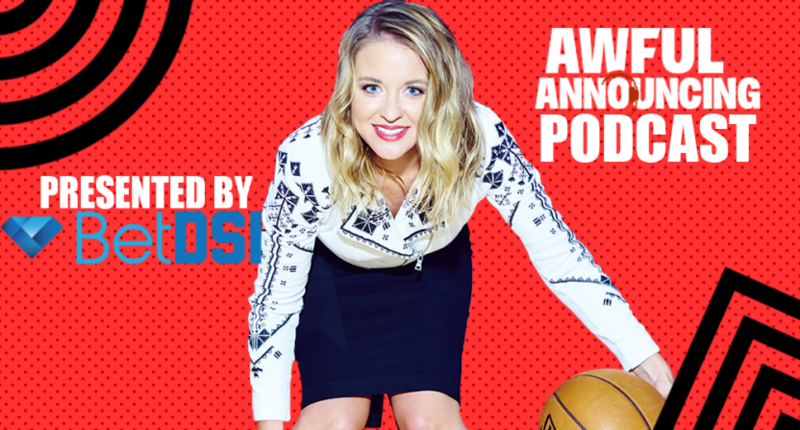 On this week’s edition of the Awful Announcing podcast, host Ben Heisler was joined by Kristen Ledlow of Turner Sports to talk about NBA Inside Stuff, Space Jam, Family Feud, just to name a few topics. Here’s the breakdown of what Heisler and Ledlow chatted about. 8:20: Did she anticipate trying to play sports professionally? Or was broadcasting always something she was interested in? 16:55 – Does she miss being a radio personality at all? 27:54 – What it’s like to interview Gregg Popovich on the sidelines? Is it as intimidating as it looks? 30:33 – Who’s the most surprising interview in the NBA? Thanks for listening, and if you enjoyed the show, be sure to subscribe on iTunes and leave us a positive review.